Questions can be found at the bottom of the page concerning this photo! 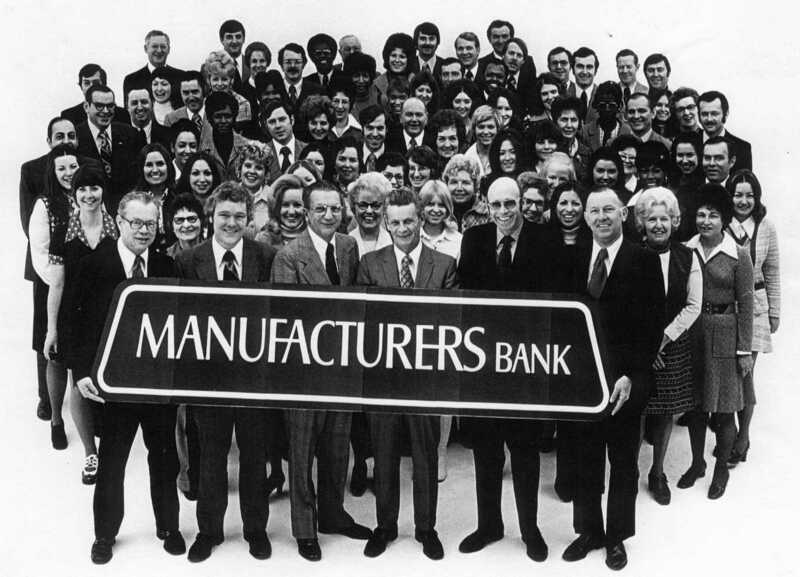 This photo, taken about 1975, was not used in connection with the "Loan Arranger" advertising program. Can you find Ray Janisse? Who is standing to Ray's left? Who is that tall guy in the back row? Are Paul Ellis and Tony Amadori standing near each other? Do you find Trudy Anderson? Where is Larry Lozo? Who was Aurel Ursa, and can you find him? What about Dennis Cone?